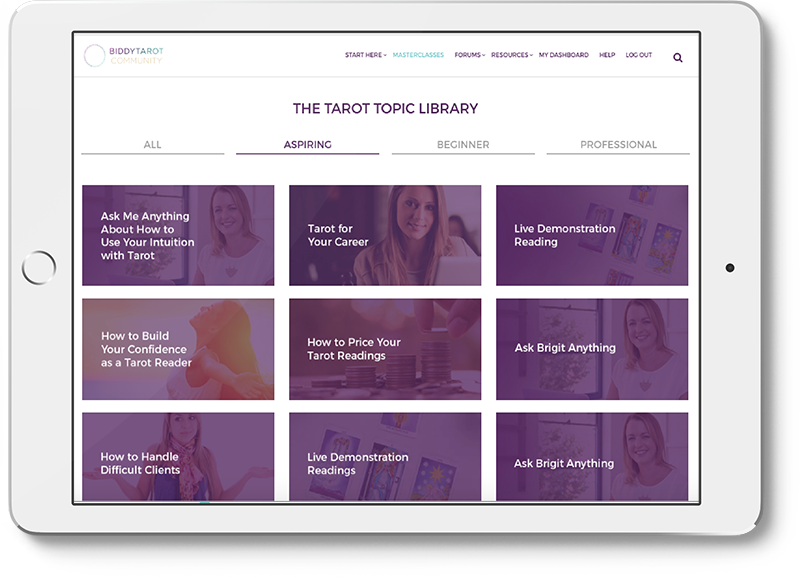 Discover how to become a more confident, intuitive tarot reader inside the Biddy Tarot Community, with over 1500+ Tarot Lovers. 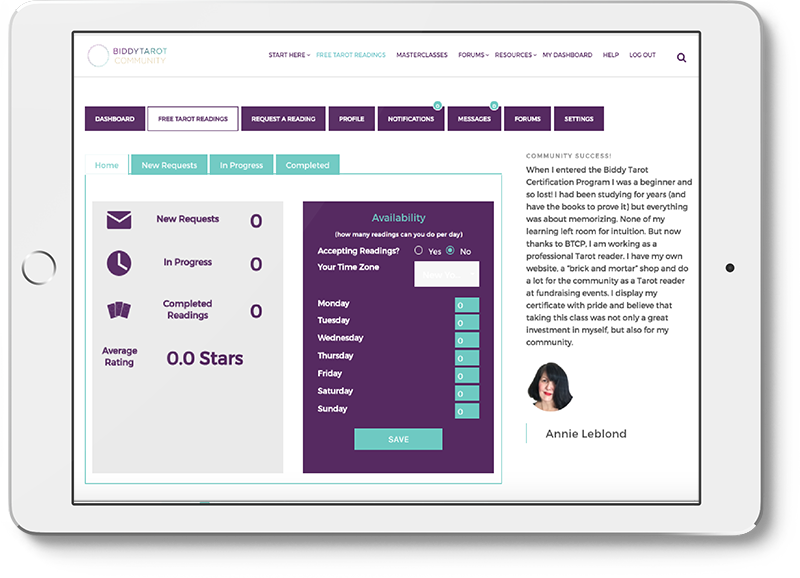 Doors are currently closed, however join the waitlist today and you’ll get access to my free training, How to Rapidly Boost Your Tarot Reading Confidence. 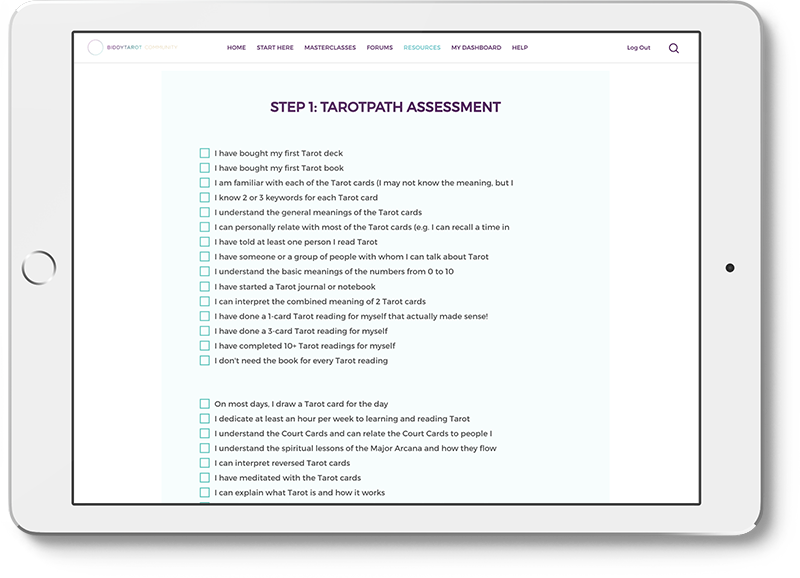 Let me take a wild guess – you’re here because you want to improve your intuitive Tarot card reading skills and boost your confidence, right? You and I both know that as a Tarot reader, you are always discovering more about the cards and yourself. 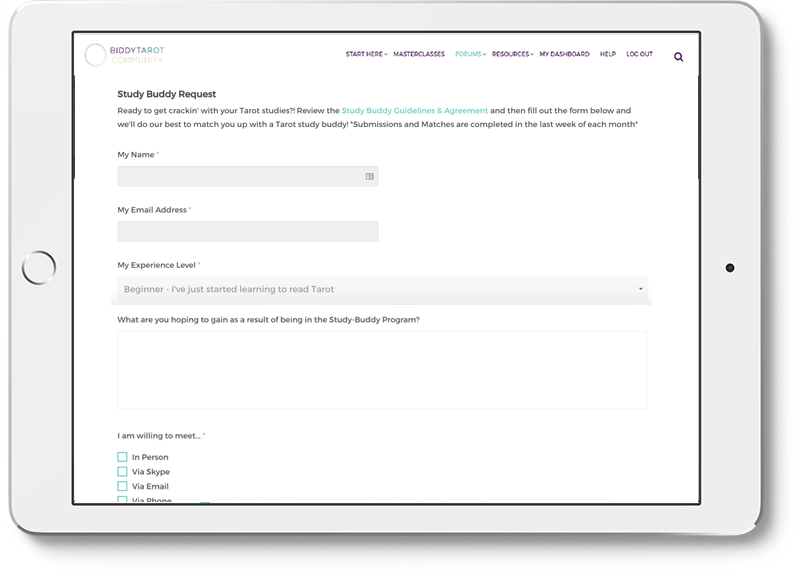 You never stop learning – and that’s why we’re here. 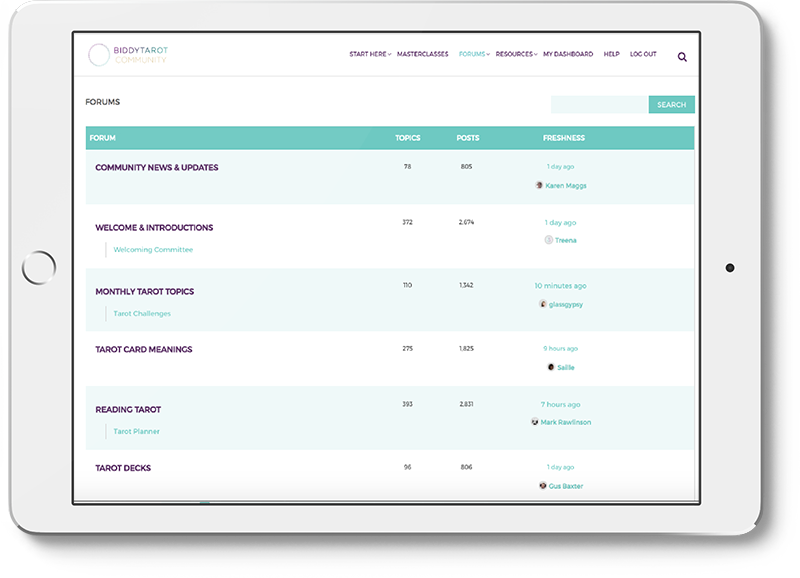 Inside the Community, you’ll have access to our 25+ Tarot Topics & Masterclasses, Free Tarot Reading platform to practice your skills, 50+ Tarot Resources including spreads, charts and worksheets, and our 1500+ member-led discussion forum. 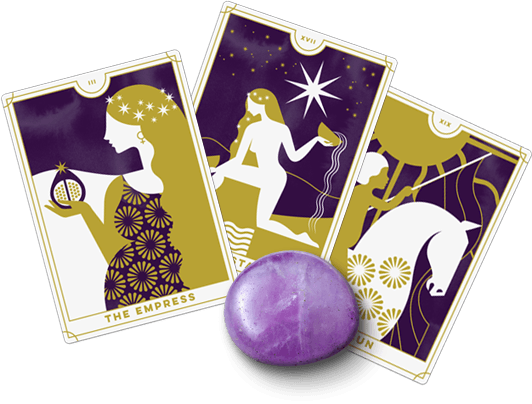 It’s all designed to help you boost your Tarot reading confidence and connect you with your Tarot tribe. 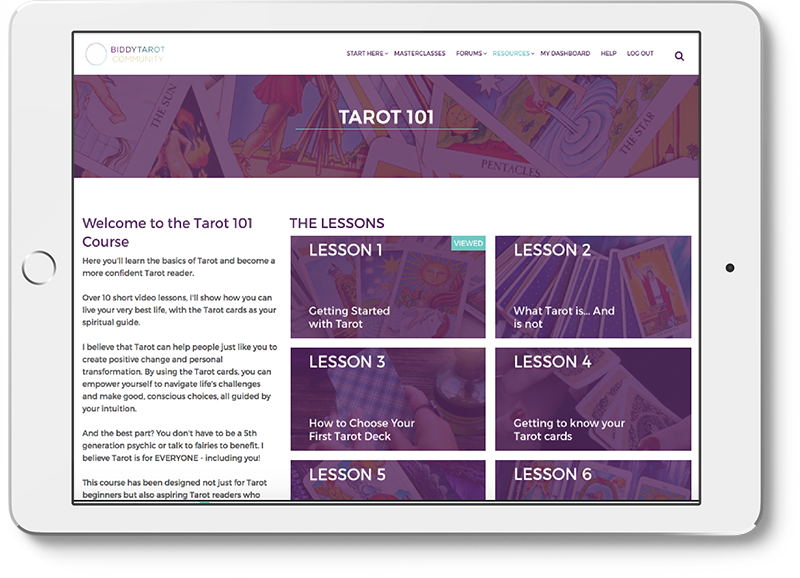 Access our 25+ Tarot Topics & Masterclasses, Free Tarot Reading platform to practice your skills, 50+ Tarot Resources including spreads, charts and worksheets, and our 1500+ member-led discussion forum – and BOOST your Tarot reading skills and confidence! Doors to the Biddy Tarot Community are currently closed. However, join the waitlist today and you’ll get access to my FREE 60-minute training webinar. HOW TO RAPIDLY BOOST YOUR TAROT READING CONFIDENCE.